Several Ghanaian governments have tossed around the affordable housing phrase as a solution to the country’s widening deficit with very little success. Many have wondered if perhaps, shipping containers aren’t a much cheaper and affordable alternative. 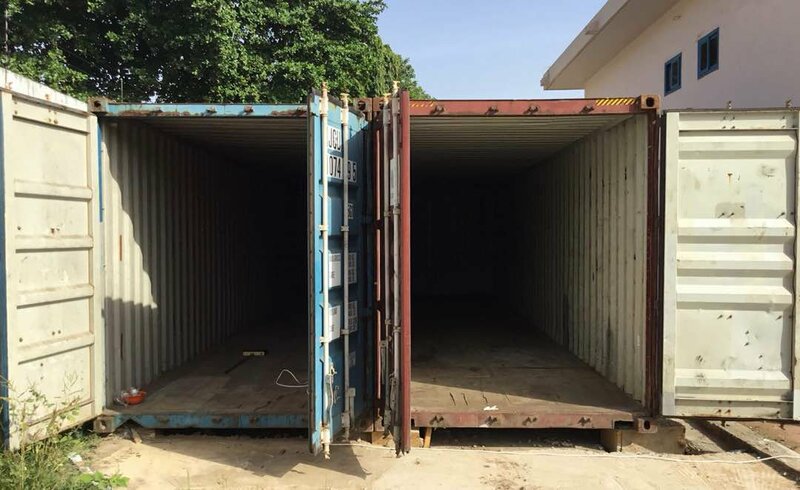 Rukie Agyeman, a Ghanaian interior designer took to Twitter and shared a wonderful thread on not only the costs involved but everything you need to know to successfully build a container home (or office) in Ghana. Below is his thread, edited and re-purposed for your reading pleasure. You can browse the original thread here. People often ask me about building container homes and offices and how much they cost. I have decided to write about it so people have a fair idea. 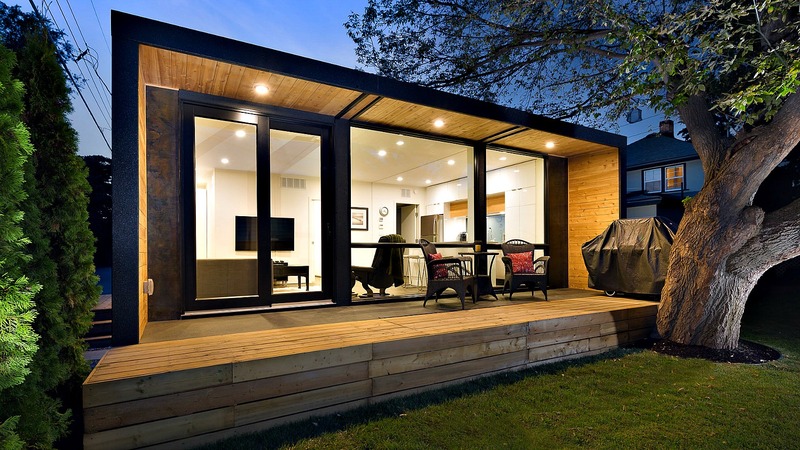 First of all, you should have a plan in mind for your container office or home. If you don’t, consult an architect or interior designer to come up with one for you. And your design will depend on the function of the container space. Next thing you need to do is to acquire the container. A 40-foot container in good condition ranges between GH¢7,000 and GH¢10,000 while a 20-foot container is roughly GH¢5,000. The number of containers you need will greatly depend on your design. The container has to be in good condition. If it isn’t, you may have to get a welder to weld a plate onto the worn out parts. A plate is about four metres and the price ranges between GH¢100 and GH¢300 depending on the thickness of the plate. Right after this is transporting the container to the site; where your office or home will be. Transport costs will vary depending on the means you use and the distance. In some cases, you will need a crane to set the container down on the site. That comes at a cost too. On one project, my company combined two 40-foot containers to create an office. After transporting the containers to the site, the next thing we did was join the two containers. That meant we had to cut the ends to have a complete whole. After that, we constructed a frame using 2×2 in order to place fibreglass in the container. Fibreglass or glass wool is then used to fill the cavities in the framework in order to insulate the container to prevent heat. Why do we do this? Because Ghana is HUMID and we don’t want anybody dying from the heat. After the insulator (glass wool or fibreglass) has been installed, the container is ready for cladding. You can use plasterboards, cement boards or plywood for cladding. Note that, the cladding is undertaken after the electrical works & plumbing works are done. After cladding your container, the next step is to paint and decorate. Before you paint you have to prepare the walls of the container for painting using a putty filler and mesh tape to cover the joints for a smooth finish. Also, this is where you consider the prices of paint, the type of paint, the colour, the design and so on. In the image below, we used line painting because it was clean and simple! Did I also mention that before you paint you have to cut out parts of the container for the door and windows? You should. You should install the door(s) and windows after painting. After you have fixed your lights and Air Condition units, you can begin the flooring works. You can use laminate flooring, tiles or carpets. Note that carpets are sold and measured in yards while tiles and wood laminate flooring in square metres. Once you’re done installing the flooring, your office/home is practically ready. All that’s left is to bring in the furniture and spruce up space how you want and that’s it. You have your very own container home. Ready to take the plunge into the world of shipping container homes? We’ve compiled a few great designs for your inspiration at the end of this post. Don’t forget to follow @ArchiDesignlv on Twitter for your interior design needs and meqasa on all social media for all your real estate needs, from properties to rent, buy and sell to great tips and advice on housing in Ghana and beyond.